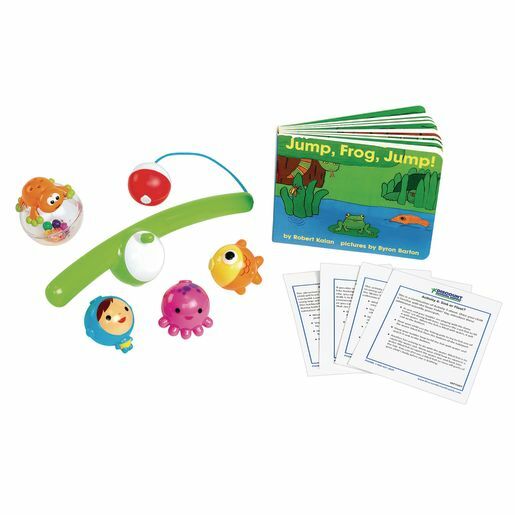 Each stage of development can be supported and built upon with these early learning family engagement packs. Introduce new concepts using the developmentally specific tools and activity cards provided. Activity cards provide fun interactive ways to play, learn and grow using the items provided in the backpack or suggested items in the home or with the caregiver. Learning Pack-Toddler Science is designed for developing young toddlers exploring their natural curiosity of how things work in the world. Simple activities that encourage visual exploration and physical discovery, as well as critical reading aloud activities begin the language development and other important developmental skills. Fun and bonding with baby for family and caregiver alike. Ages24-36mos.